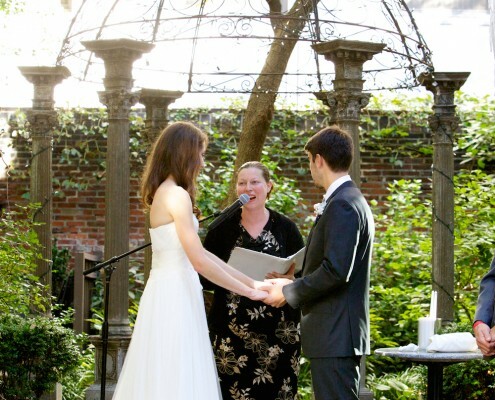 Gabrielle Kaplan-Mayer discovered her love of creating personal wedding ceremonies during her own engagement over ten years ago when she and her fiancé, Fred, explored creative ways to honor both her Jewish and his Buddhist faiths and traditions. 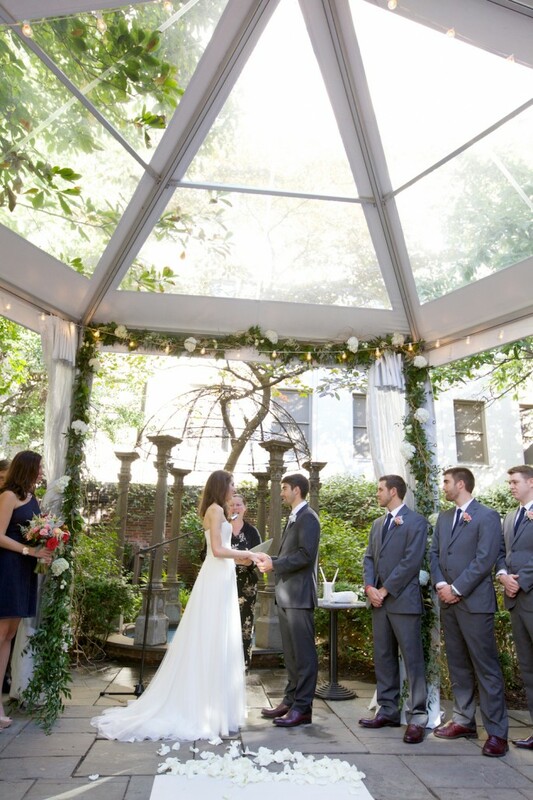 Gabby soon was recognized as a valuable resource among friends and family who were planning their own weddings. She became adept at helping them discover rituals suited to their own style and spirituality in order to create ceremonies with contemporary meaning even if in a traditional setting. 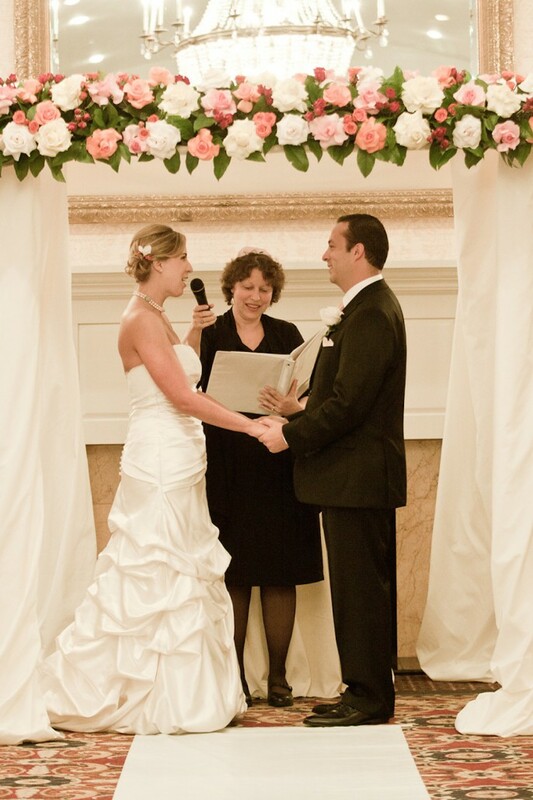 Her work and skill resulted in her authoring The Creative Jewish Wedding Book (Jewish Lights Publishing also available on www.amazon.com), an excellent resource for Jewish and Interfaith weddings. 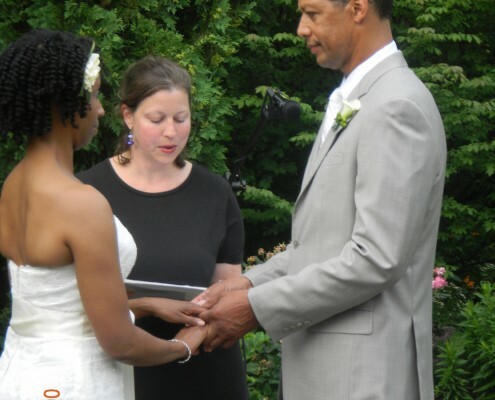 While Gabby loves working with couples of all backgrounds and traditions, she considers her own spirituality to be both personal and universal. 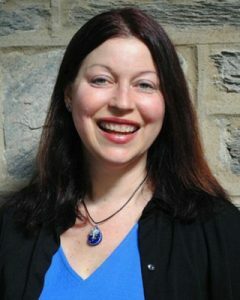 She has a bachelor of fine arts in theater and creative writing from Emerson College in Boston and has written and staged several original plays. 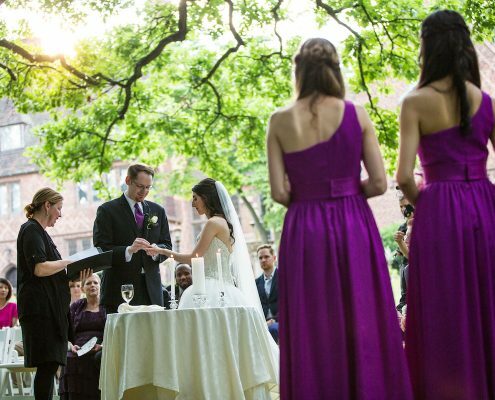 The combination of theatre and writing serve as a natural fit for her to serve as a wedding officiant. She finds deep satisfaction in using all those experiences to capture the voices and intentions of couples with whom she works. 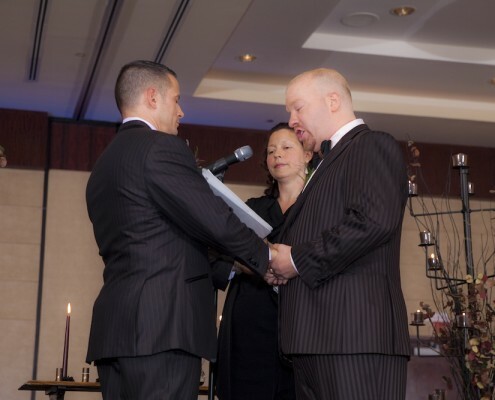 The result is a highly personal and meaningful ceremony. 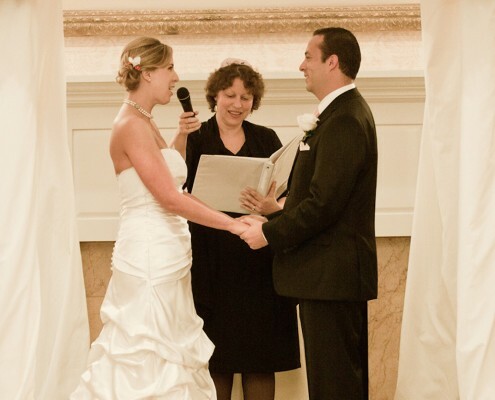 Gabby grew up in the small central Pennsylvania town of Hollidaysburg and has lived in Boston, Chicago and Baltimore before settling in Philadelphia, which she now considers home, in 1998. She enjoys reading books about spirituality and personal growth. She has several favorite poets, including Walt Whitman, Mary Oliver, Pablo Neruda, and Alice Walker and finds herself turning to their poetry time and again. Her other passions include yoga practice and listening to music. Gabby’s musical tastes range from indie rock to jazz and she keeps WXPN streaming on her computer throughout the day. She is a really good cook. Gabby combines a sweet and gentle nature with a quick sense of humor. She loves to laugh. Beautiful weather might find Gabby, husband Fred, their two sweet and funny children, George and June, and yellow lab Hank exploring nature while walking along magnificent Hidden Drive in Valley Green beside the Wissahickon in the Chestnut Hill section of Philadelphia. Gabby’s latest project combines her love of children, writing and cooking: the writing of a children’s cookbook. 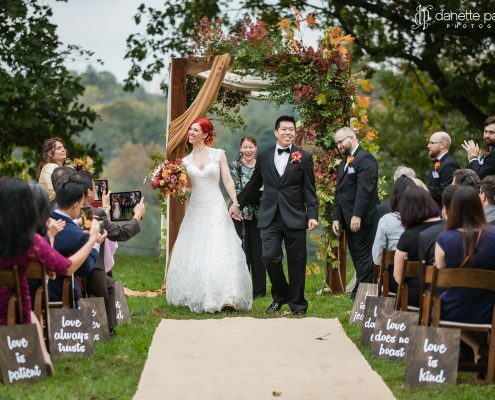 Thank you thank you thank you for giving us the most incredible ceremony we could have asked for. You made it feel so personal to us. All of our guests were bowled over by it, and you in particular got many compliments through the night from friends and family. 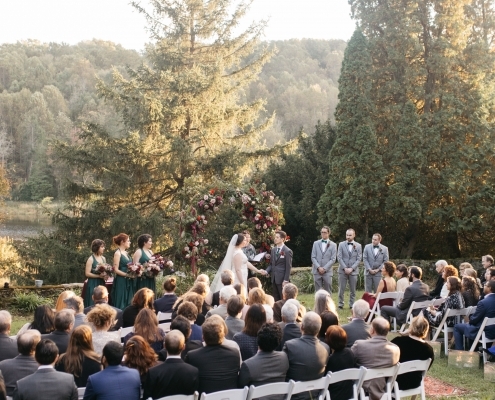 The ring warming ritual was such a good suggestion and really resonated with guests. Gabrielle Kaplan-Mayer was amazing to work with. She was sensitive and respectful to our needs as an interfaith family. 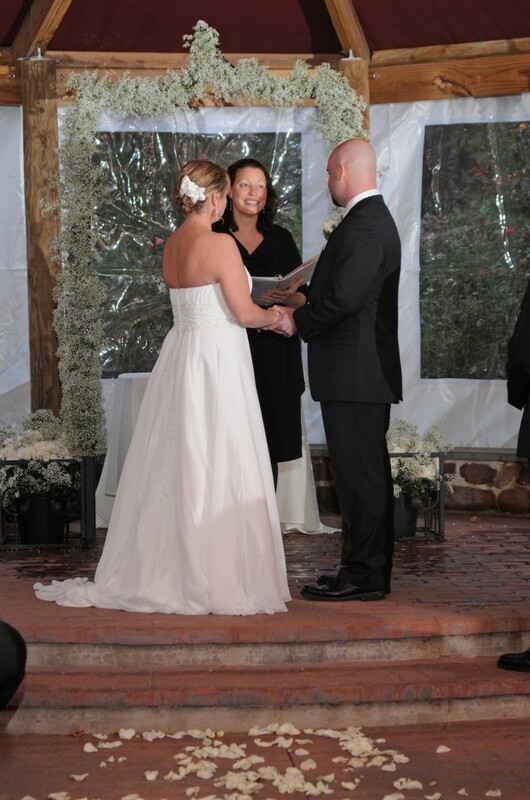 The ceremony was absolutely beautiful and everyone felt comfortable which was our main concern. 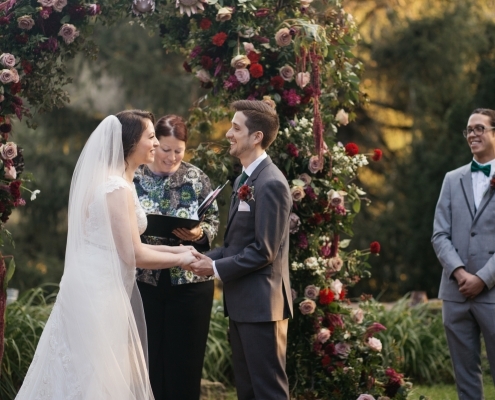 The entire focus was on the couple and their love for one another. We can’t say enough wonderful things about Gabby and are very grateful to have learned about Journeys of the Heart. How do I thank you? There are not enough words to do so. So I will try my best in this email. Jeff and I could not be more thrilled and thankful for you and all the hard work you did to make our ceremony so perfect. 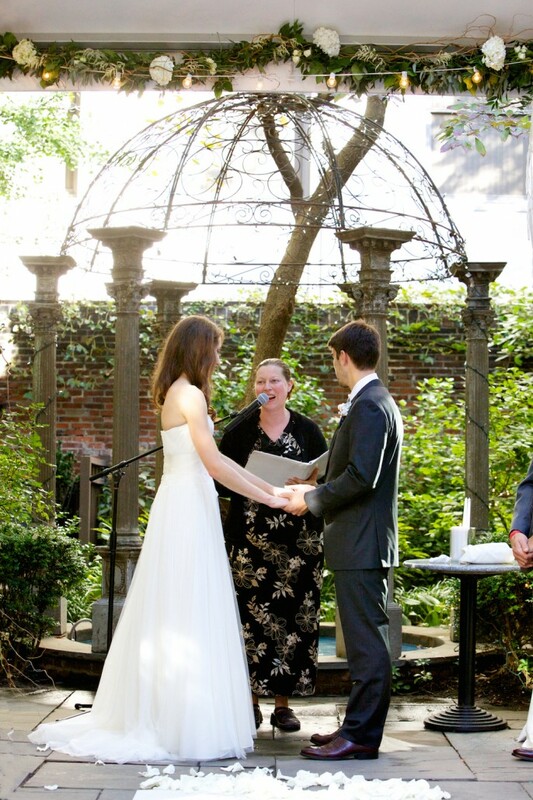 People told us all night how romantic and special and sincere the ceremony was and I owe that all to you!!! Thank you for everything, you are truly amazing!!!!! Thank you also for the help with changing the name! I am heading over to social security tomorrow!!! Please keep in touch!! Would love to grab coffee again!! Hi Gabby!! 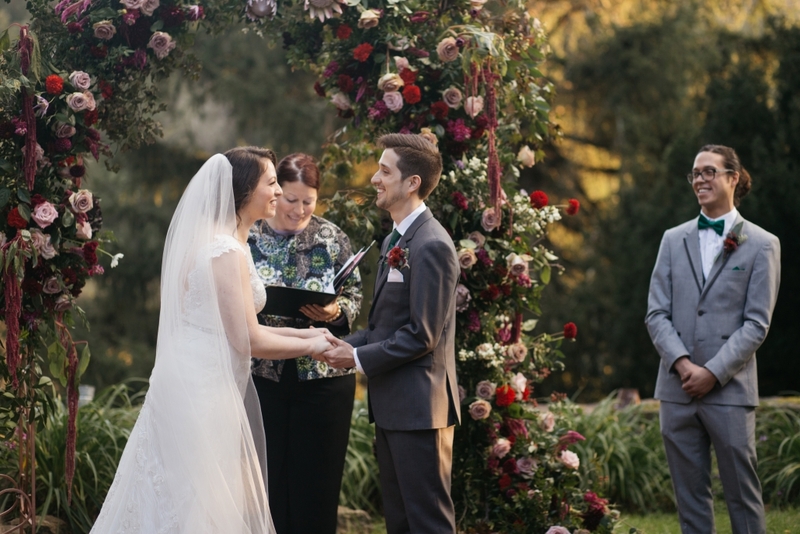 Just wanted to say thank you again for being such a huge part of our wedding day one year ago today!! We are watching our wedding video right now and couldn’t help but to of course think about writing to you and thanking you. Your kindness, dedication and support leading up to our day and on the day are always going to be something we will forever remember and be thankful for!! Hope you are doing well!!! 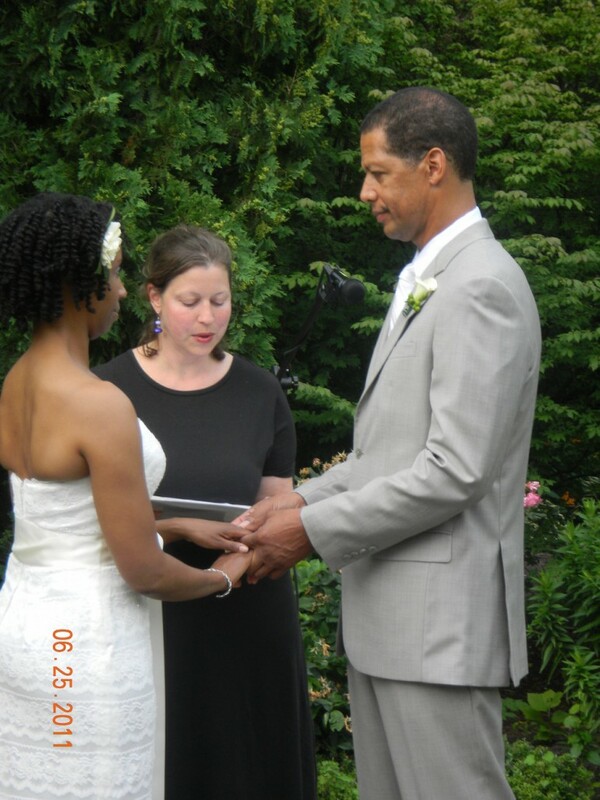 Gabby, our officiant was awesome. 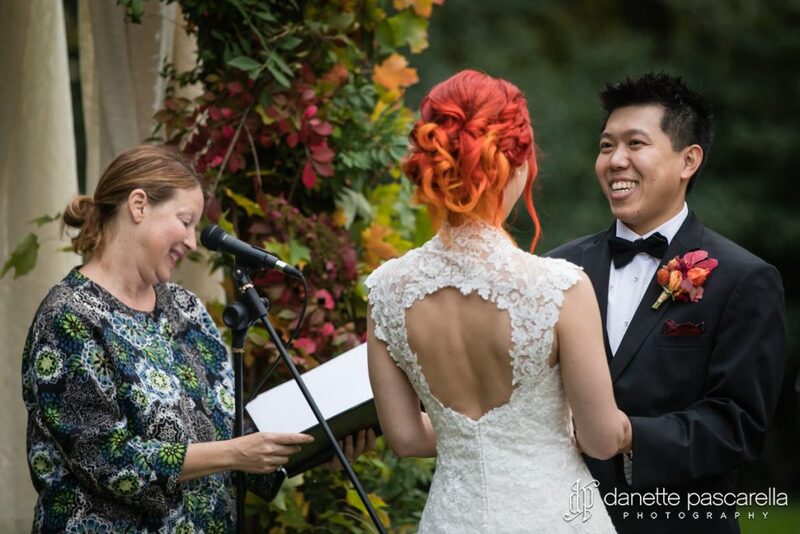 She made the whole process of creating and going through our ceremony so easy. She even gave us an idea of a memory wine box, which we put a bottle of wine that we like a lot and letters to each other, to open on our 1 year anniversary. 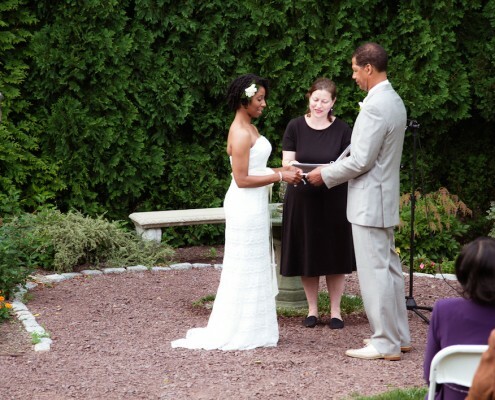 The ceremony was beautiful and Gabby did an excellent job making it very personal. 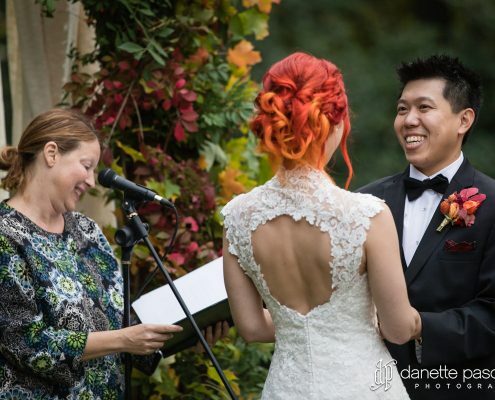 We loved the ceremony and even got numerous compliments from guests for how personal and beautiful it was. 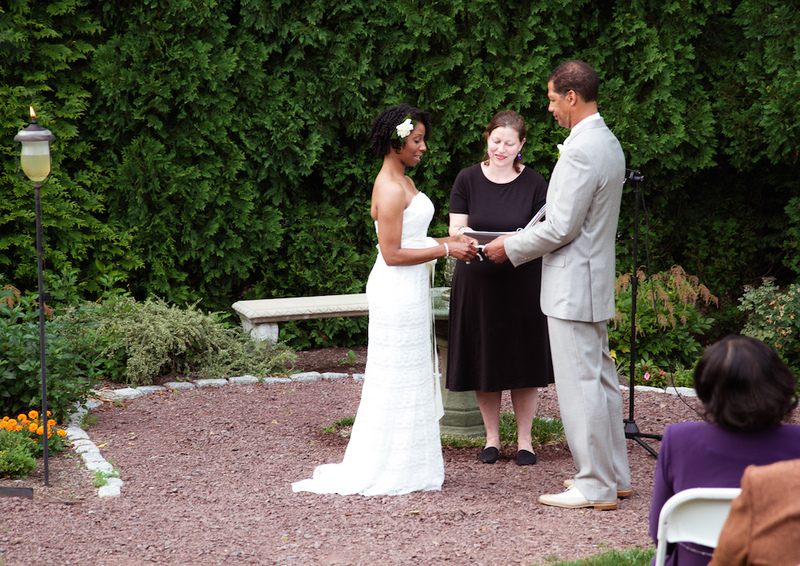 Gabby…you did a phenomenal job for my daughter and son in law on Saturday night at the William Penn Inn. People can’t stop talking about what a beautiful and personal and meaningful service you did for them!! We would love to have a copy of what you said. 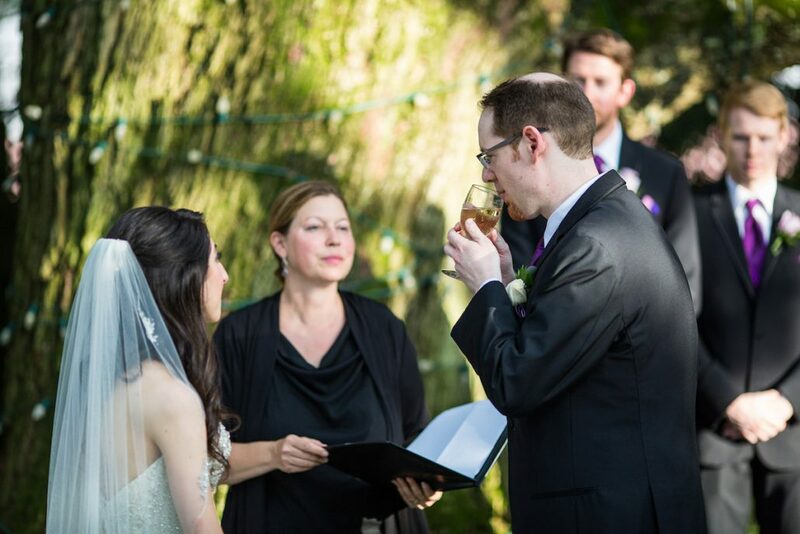 Did you already give it to Erin and Andrew? 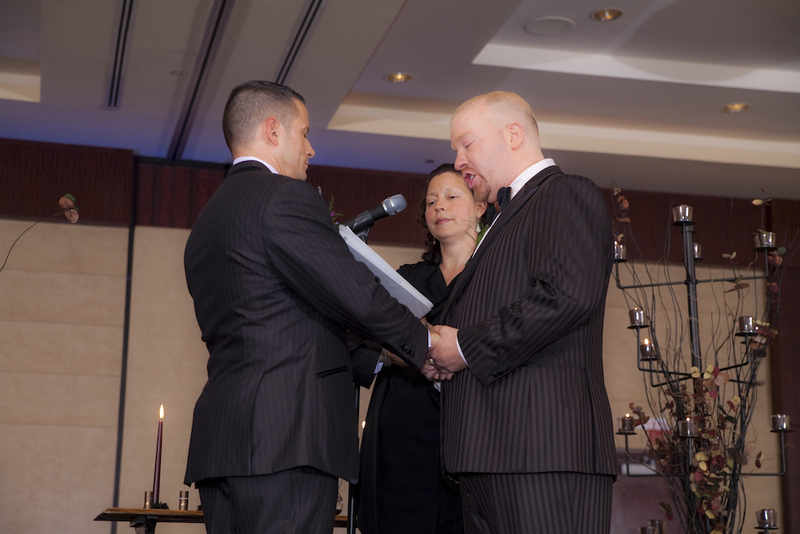 We just loved that you made the signing of the ketubah during the ceremony so all could be witness to it. 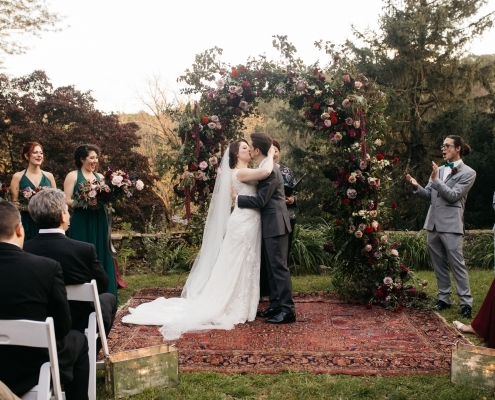 We loved how you explained the chuppah. Thank you for including the part about Erin’s grandparents. We thought the things you had the kids say about each other was a great touch. Thank you so much for officiating. 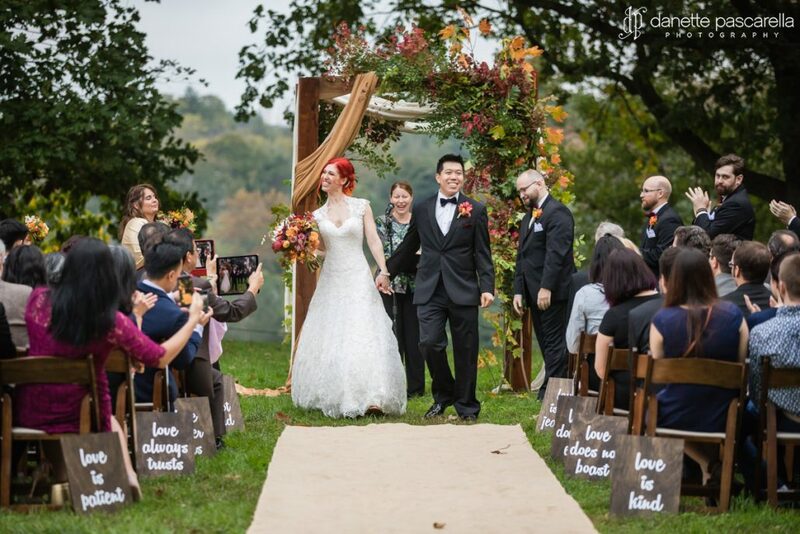 It was more than we ever expected!! Wow! 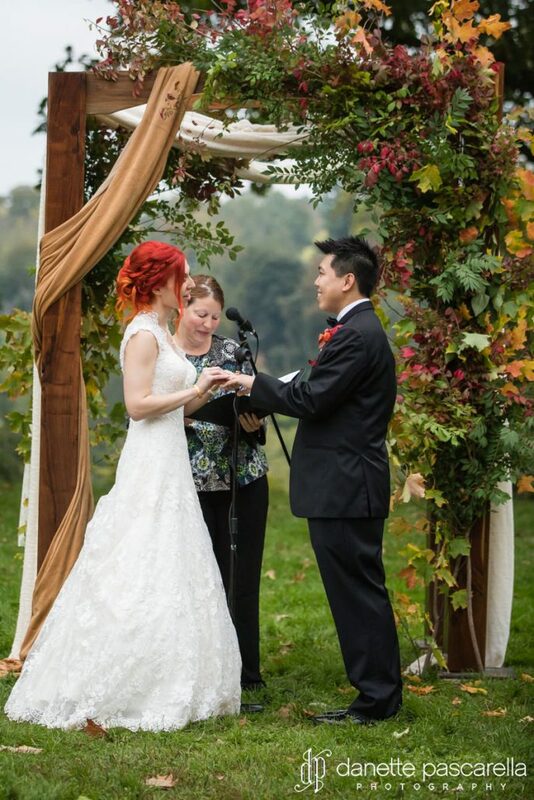 Thank you so much for making our wedding so intimate and special. 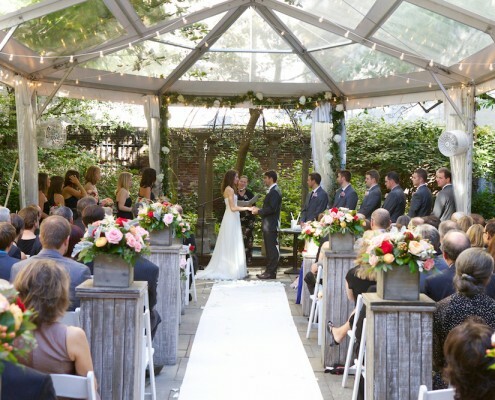 We have received so many compliments over the past two days about you, and how you conducted the ceremony. 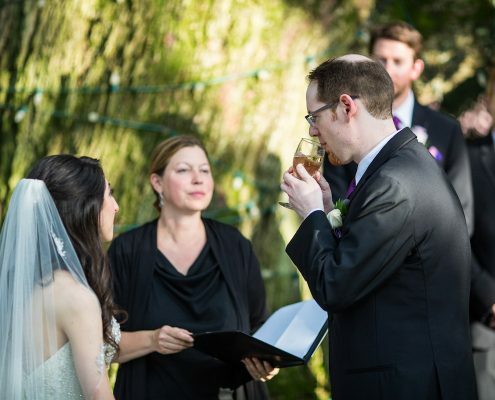 Everyone especially liked the personal touches, the story, the “homemade” vows, the readings, and the combination of Christian and Jewish faith traditions. It was so “us”. And you really expressed the essence of who we are as a couple, and the wedding ceremony fully conveyed that spirit to everyone. A true bonding experience for all. Many saw us in a new light, with a new understanding and appreciation for who we are as a couple. 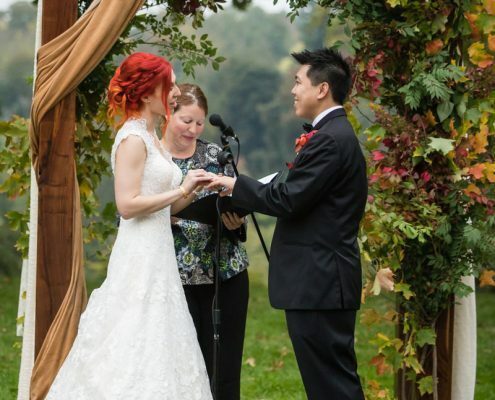 We are so glad to have chosen you, and that you were able to be our officiant. You’re the best! Once again thank you for officiating Michael’s baby naming. You did an amazing job and people were asking about you and raving. How special is it that you were with us by our side for both children! We hope to always keep in touch. Please know we are deeply grateful for all you have done! Thanks so much for everything, Gabby. 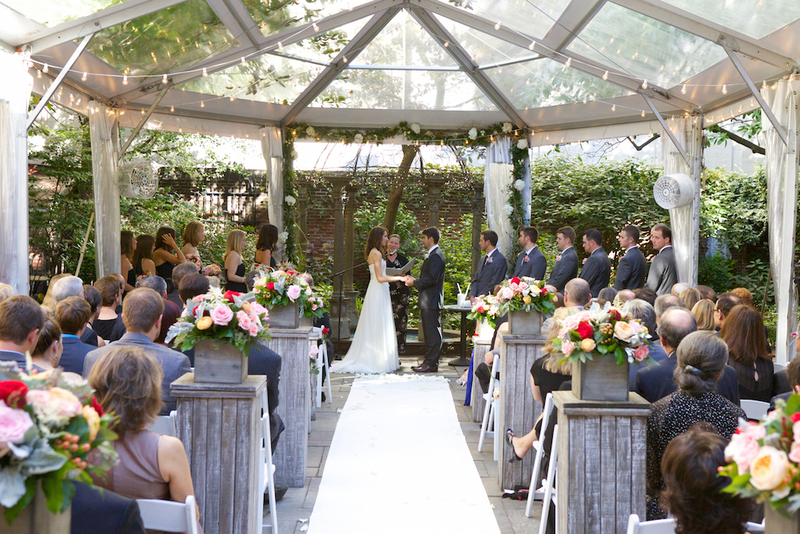 The guests loved your approach and your style. Your tone and cadence were perfect and beautiful. 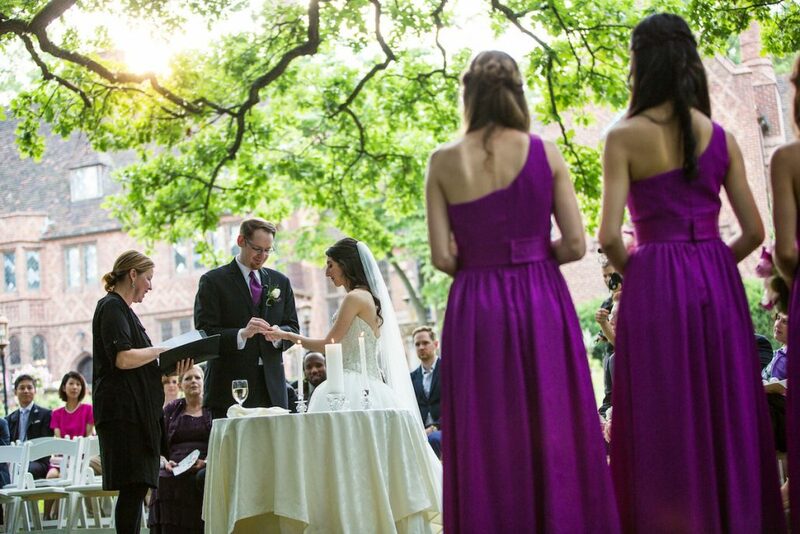 Thanks again for being such an integral and memorable part of our day. 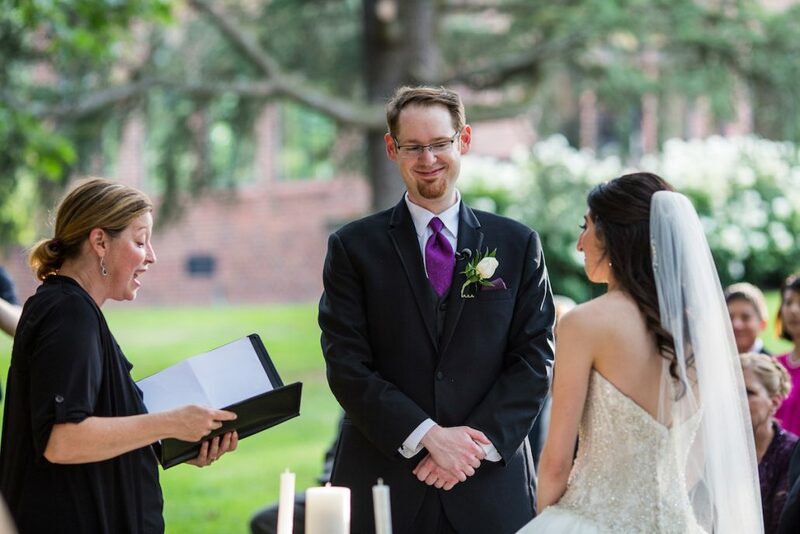 I was so pleased with Gabrielle Kaplan-Meyer from Journeys of the Heart, who officiated our wedding on August 4th! 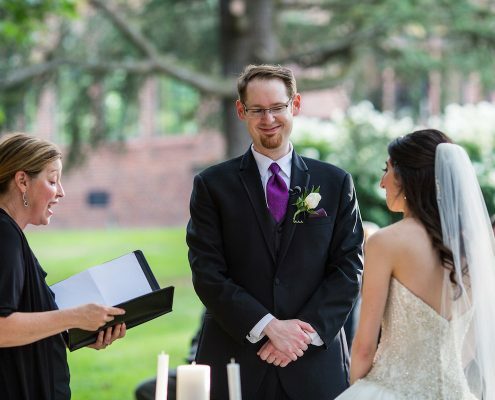 She was so warm and easy to work with, and was very receptive to the interfaith ceremony that my husband and I wanted. 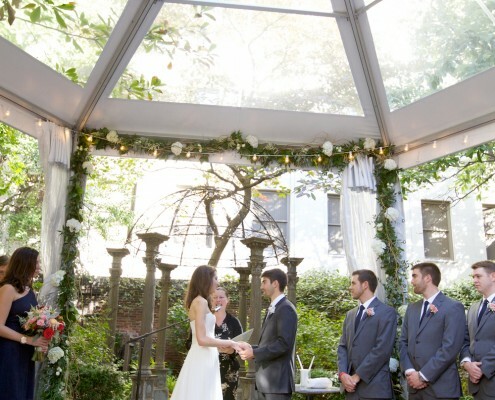 She met with us about 6 months before the wedding to get our ideas for what we wanted from the ceremony. She then had us complete a questionnaire to get a better sense of us as a couple. 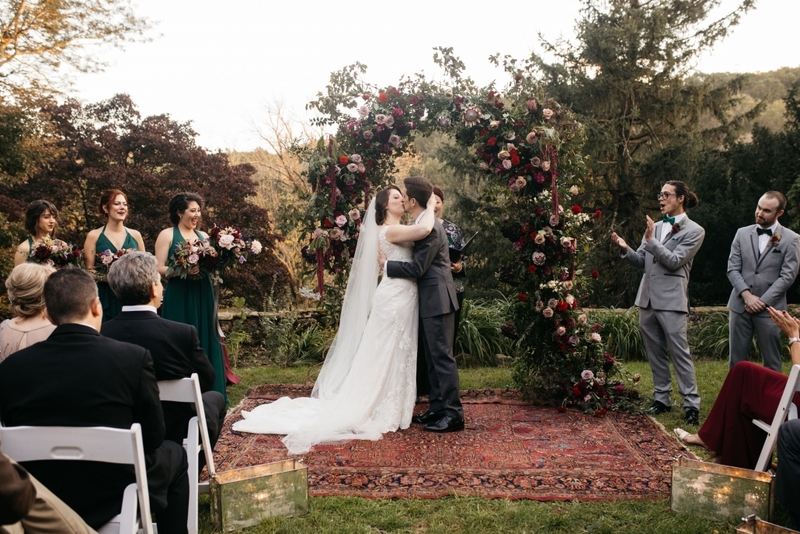 She had the outline of an interfaith ceremony (Jewish/Catholic) that we really liked, and she was open to every adaptation that we wanted to make. 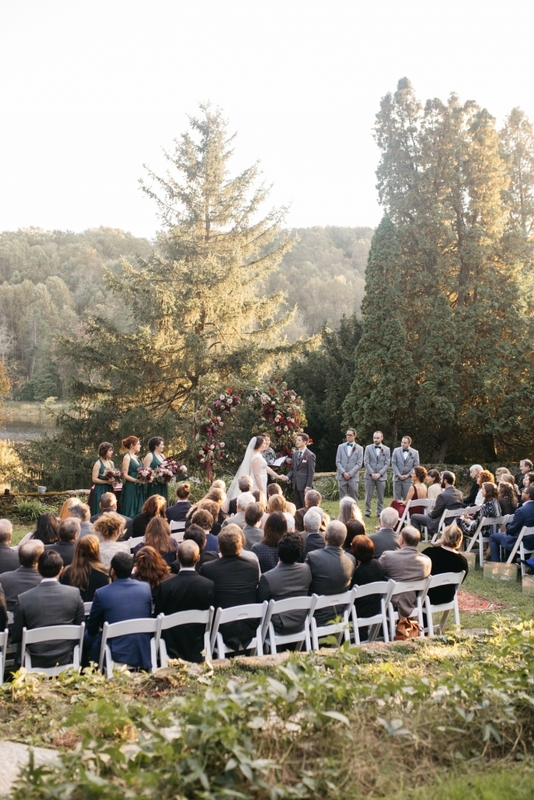 The ceremony ended up being beautiful, and people couldn’t stop talking about what a meaningful and unique ceremony it was. Gabby was very professional, responded promptly to questions, and arrived prepared and on time.  I HIGHLY recommend her, and Journeys of the Heart, for officiant services.